The 1988–89 NHL season was the 72nd season of the National Hockey League. 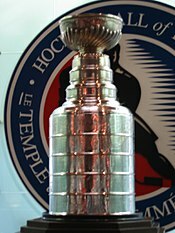 The Calgary Flames won an all-Canadian Stanley Cup final against the Montreal Canadiens four games to two. This remains the last time two Canadian teams faced each other for the Stanley Cup.